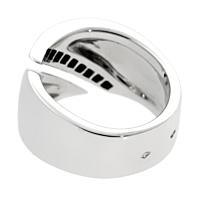 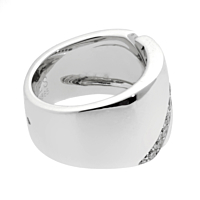 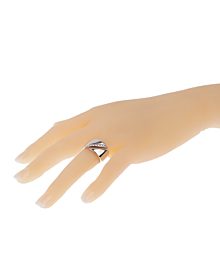 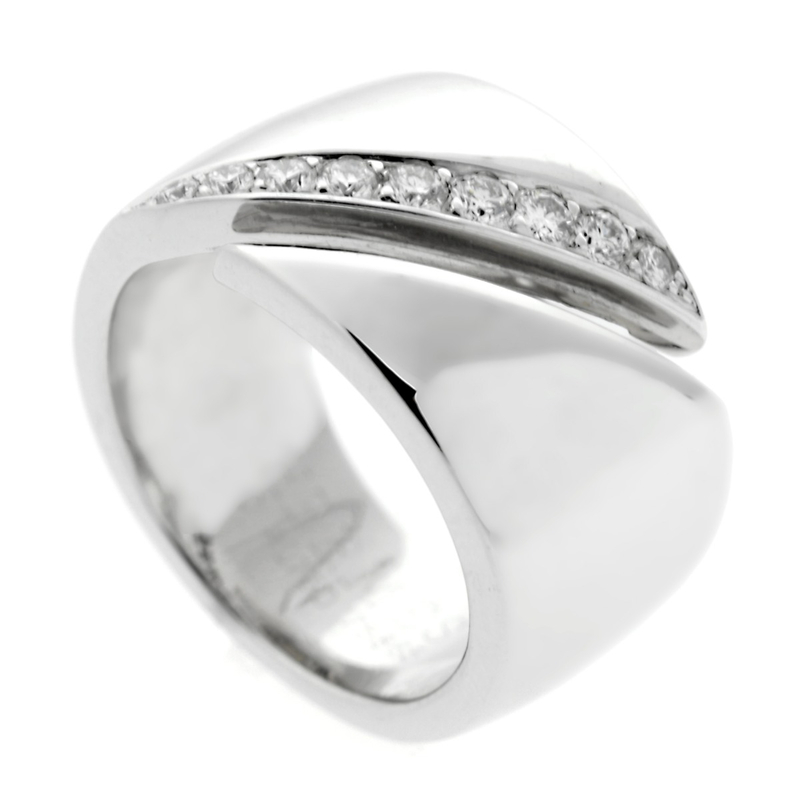 An elegant wide,18kt white gold band from Hermes is their elegant bypass diamond white gold ring. 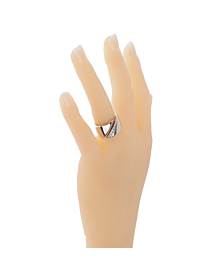 Round brilliant diamonds are prong set diagonally across the ring and emphasize a unique geometric opening in this distinctive bypass setting. 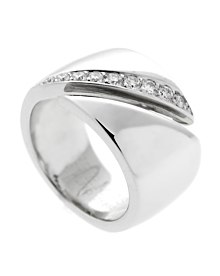 Finished with soft edges for luxurious comfort, it is an elegant classic band measuring .47" wide.